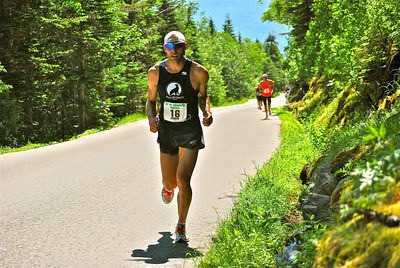 Matt Russell broke the Maine state record at Mt Washington, taking over 2 minutes off of Rob Pierce’s time from 1995. Matt is one of four CMS members to hold state records (Blake set the NY record in 2005 while still a member of CMS). Blake and Dunham are the only two runners to hold multiple state records. 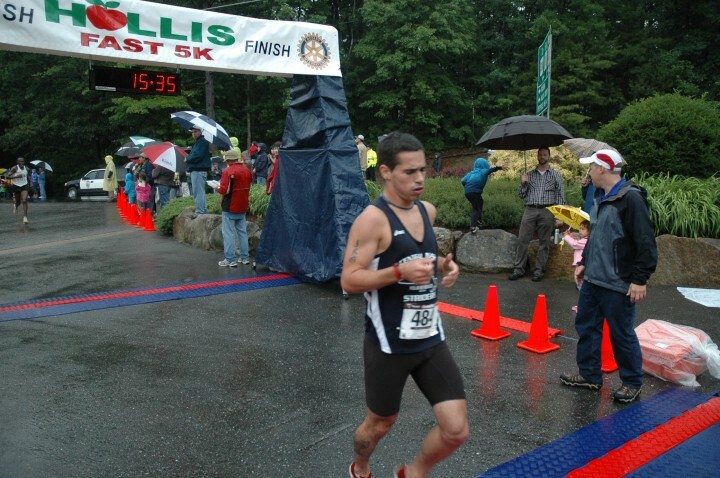 Blake also holds the CT record 1:00:39 (set while a member of BAA). 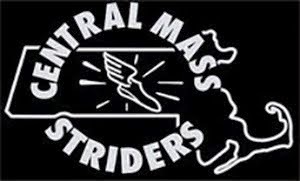 The Central Mass Striders are once again the US National Mountain Running Champions. 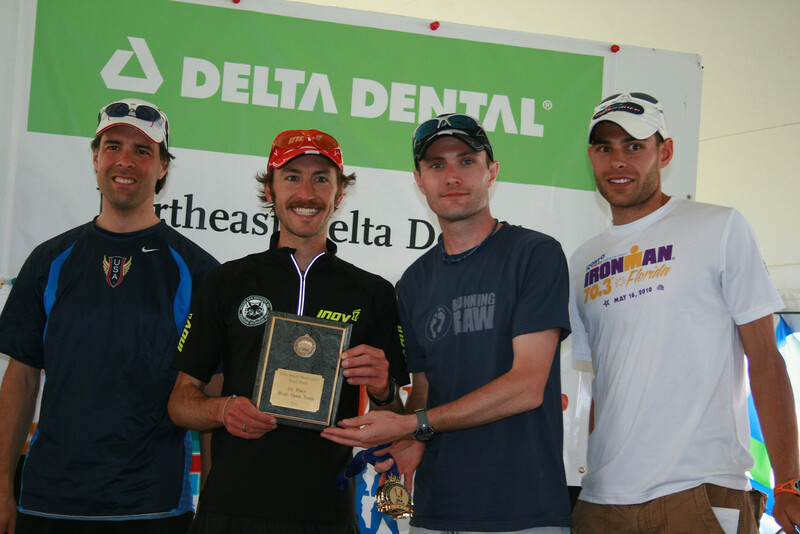 The Open team consisting of Matt Russell, Pete Maksimow, Jim Johnson, Ben Nephew, and Andy McCarron placed first overall at the 2010 Mount Washington Road Race (results) up in NH over the weekend, giving CMS it's 4th US National Mountain Running title in the last 7 years (only 6 of those years had US Championships). The CMS crew was all over New England this weekend, racing in RI, MA, and NH. The racing team put up fast times at New Balance Twilight Meet #4, The Hollis 5K, and Market Square, among others. 15:30 gets you 23rd?! That's a fast meet. Goup goes way sub 16:00 and Pajer not only breaks 18:00 but 17:00 too. If this was a team event, CMS would have dominated. Good work men. Ben actually does a non-trail race. Weekend results are incomplete. Please revise to make list more inclusive. Check out the blogs to the right for individual race recaps. If you would like to join CMS, leave your contact info in the comment box and one of us will be in touch. We're about 1/2way through the 2010 Grand Prix Series. Below is a brief update on where CMS ranks. Standings are after 4 events: Amherst 10, New Bedford 13.1, Bedford 12K, Rhody 5K. Check USATF-NE for complete results and scoring guidelines. 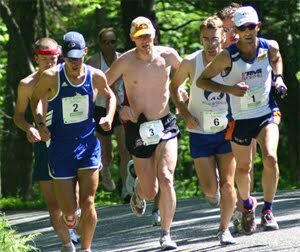 Next GPS event is the Stowe 8 Miler. The more guys we can get there the better. Best wishes to all those racing this weekend whether it be the Market Square 10K or a local event. The above are all pictures from the Rhody 5K. All pictures taken by Krissy K. Click on "Krissy" to see all of her great shots. They are bigger on her site. Thanks Krissy. Photo 1: The CMS Team. Photo 2: Postrace chat. Photo 3: KG and MQ duking it out in the last 100. Photo 4: Jim Pawlicki and Dan Verrington early on. Photo 5: Greg Hammett at ~1 mile. 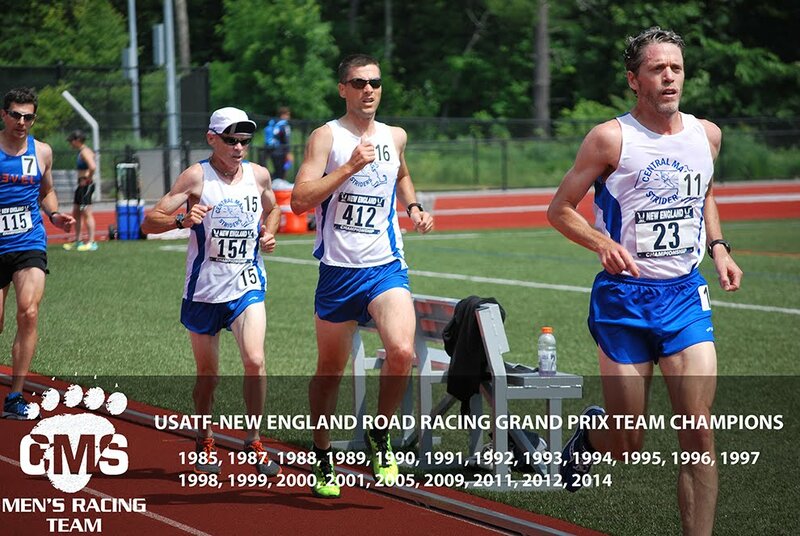 The Rhody 5K was the 4th stop of the USATF-NE Grand Prix Series. The event is held at Twin River Casino in Lincoln, RI. The weather was hot and humid. CMS, not a full strength today in part due to the USATF Mountain Series (see Pack Monadnock results below), came in 4th place in the team standings. GBTC took the last podium spot beating our the Polar Bears by a total of 7 seconds. Many of us are wishing we pushed just one or two ticks harder. Kevin Gorman, Mike Quintal, and Alan Bernier led the charge and were all within 5 seconds of each other. KG and MQ duked it out over the last quarter, exchanging positions 3 or 4 times. At about 2.5, CMS' top 4 were all running as a pack about 2 seconds separating our 1st from 4th man(this was reminiscent of NB Halfer except the players were for the most part different). That gap only spread slightly over the last 1/2 mile. Greg Hammett, who took it out in top 10 position, ran strong. He set the tone for the team early in the race. Tim Van Orden, making his road debut in the GPS series, rounded out the top 5 with a great 16:27 clocking. The next two blue jerseys were Jeff Goupil and Jim Pawlicki. Both ran strong in the humid conditions. Sam Wood also ran well in one of his first USATF races for CMS. The CMS Masters also ran fast. Their second place showing was in part due to the return of Tim Van Orden, Scott Clark, and Dan Verrington. Rod Veins and Dave Quintal (whose boys look like they're gonna be fast) also ran well for the team. Ernest Brake continues to put up consistent performances and it's only a matter of time before John Pajer goes sub 18:00 again. And congrats to the CMS women's team for taking the team title! Apologies if I missed people in the Pack results. Please edit, revise, correct. Many individual CMS runners will be posting recaps on their blogs. Please check them out. If you would like to join CMS, leave your contact info in the comment box and one of us will get in touch with you.